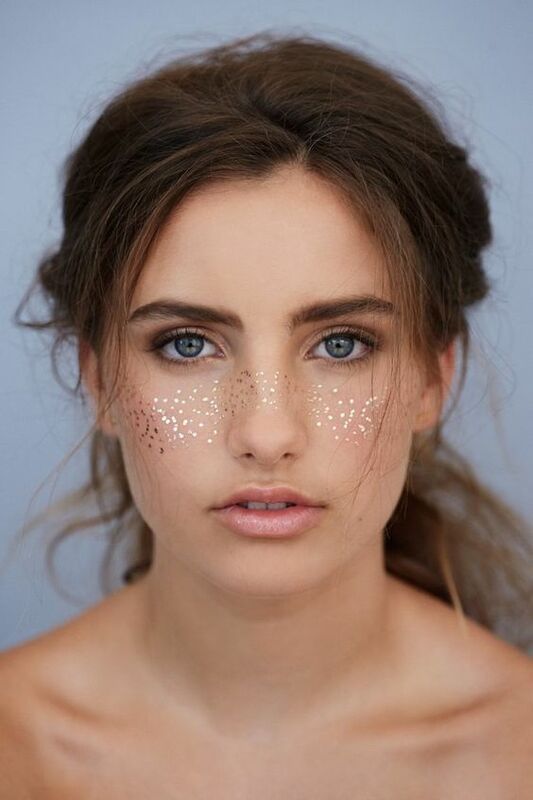 This is for those of you that want a simple but cute festival look. With stick-on gems or jelly glitter, you can add a chic but fun touch to your makeup. This is the easiest festival look because while it's out of this world, it doesn’t require intense skill. By randomly arranging glitter on your face, you'll achieve that fun flair! -Tarte Mermaid Glitter Gel for a subtle yet beautiful iridescent look. 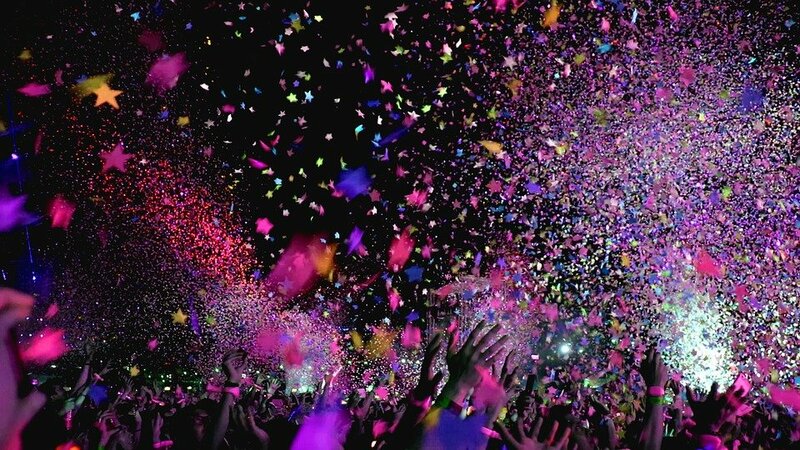 -Wunder2 Glitter Jelly for those of you who would rather add a pop of color. This jelly works great and comes in bright shades! 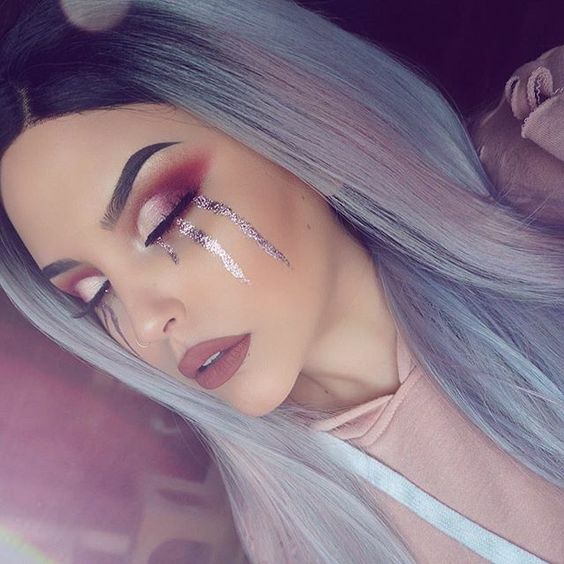 Glitter brows have been quite the trend and they fit just right with the festival scene. Plus, they're are super easy and fun! To achieve this look, you can use colorful matte eyeshadows. And if you want that sparkly pop, glitter liners can do the job. Simply take a liner brush and outline your eyebrow with a fun pop of colored eyeshadow, then filled them in with glitter liner! I’m not a big festival goer, but this has been my favorite look for occasions when I do festival makeup. This look also has to do with glitter, but it’s a little more intricate. There are many ways to go about creating this look, but what I find easiest is to begin with the outline. I like to use glitter liner to create the squiggly shape and then I fill in with creamy glitter eyeshadow such as the Glitter & Glow Liquid Eyeshadows. You can also go in with vasaline and a liner brush to lay down the tear shape. Then go in with a pencil brush with glitter pigment to add the shine! This is for those of you who want to unleash your inner artist and create a beautiful rainbow eye. Here’s a tutorial from the best, James Charles, who shows exactly how to create this stunning eye look. It may be one of the hardest looks, but the results look great. You can have a ton of fun with this look by just buying a pack of stick-on gems. 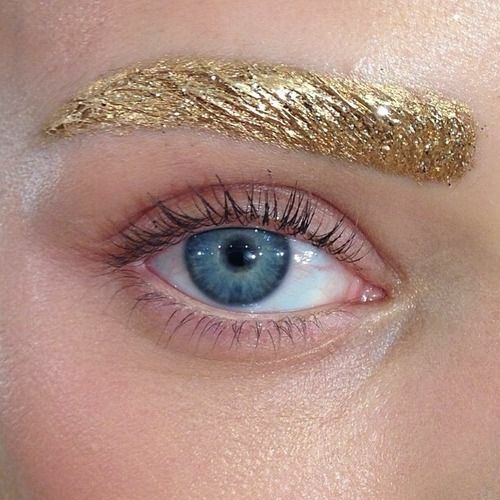 Place them by your brow for the classic look! However, to really have fun with it you can map out different designs, from geometric shapes to crown pieces. These looks are all super simple and will make you look great for IG pics at your next festival! You can choose just one, or you can combine them all for the ultimate look. And be sure to come hang out with Her Campus UCF on March 5 from 6:00–8:00 p.m. We’re teaming up with Hangout Music Festival to bring a little spring break right to our campus, featuring music trivia, beach games, festival makeovers, and of course plenty of beachy photo ops! We can’t wait to see you there!